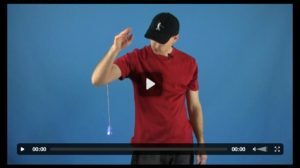 Our hope at YoTricks.com is to give you the most accessible and powerful yo-yo trick learning experience on the web. Recently, we were excited when our friends at Freshly Brewed Web Design suggested a new video player which offers greater functionality than our current player. This new functionality has the potential to give expression to many of the ideas that have been simmering in our minds for some time. For example, this new player gives us the flexibility to add several related videos to a single post without muddying the look and feel of the site. Using this one feature we could add trick variation videos, trick histories, trick ladders and more. In our testing we have also found that this player loads faster and works with greater consistency than the player we now use. We hope your experience with this new player is as positive as ours. We have currently posted one video with this player, and over the next couple of weeks we will be releasing more videos in this player as well. Let us know what you think and look for new features to be added to future videos.